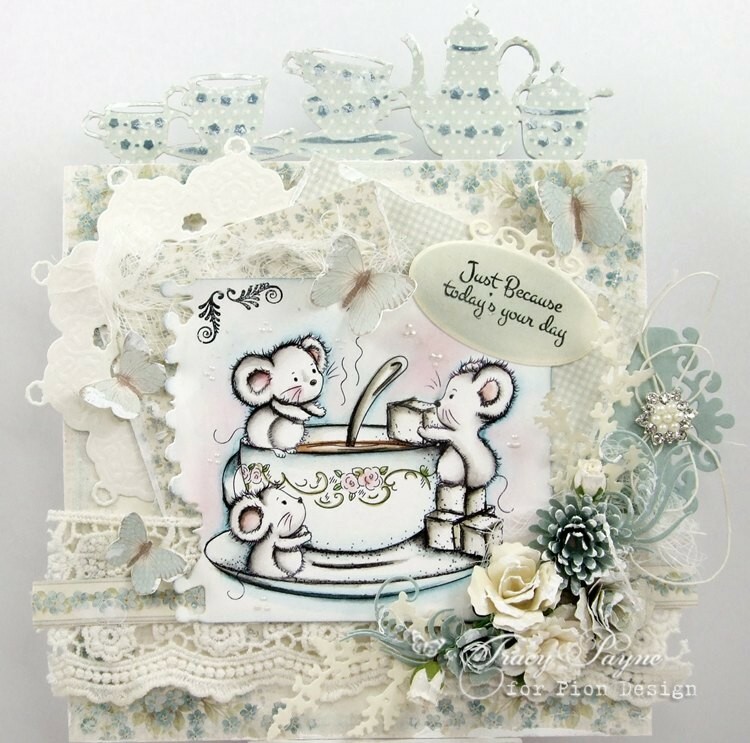 Tracy here sharing my first card made using the Easter Greetings release. Another versatile collection of papers suitable for Easter and many more ocassions. I used the papers to make the die cuts and also made the flowers using the papers and Pion Design’s Palette Blue II PD6110 and Pion White I PD6101.